[TEACH through Love] August 2010 Newsletter - Got Stress? or viewing the images, you can click here to view archived issues online. As the summer comes to a close and children head back to school, they (and you?) may feel restless for those lazy summer days, not quite ready for the early morning rush to school and evenings filled with fuss about homework and extra-curricular car-pools. Others may not have experienced a break from the school year frenzy, their days filled with camp and busy working schedules for Mom and Dad. No doubt, the stress can be high sometimes. So how do you recharge? Or more importantly, how do you maintain a buffer to the daily challenges of family life? How can you teach your children to become resilient and avoid burn-out when the demands placed on them from teachers, coaches, peers and others is often so high? Stress-management and the development of coping skills are rightly emerging as vital tools for parents. In order to respond to the chaos that multiple people living under one roof can experience, we must take the time to understand our stress and learn about our kid's stress. To recognize the body's signals and to know what to do when emotions are rising are crucial skills that children need to build their emotional flexibility. Learn more about stress-proofing your kids in my upcoming complimentary online parenting class with clinical therapist Elizabeth Walther. I hope you'll join me on Sept. 20th for this informative webinar. Until then, enjoy a safe and stress-free Labor Day holiday. Hosted by TEACH founder, Lori Petro & clinical therapist Elizabeth Walther. Click here to LEARN MORE. Kids come into the world with a set of tools that determine how they handle life events. As parents we can either add to, take away or neglect their tool kit. Teach your kids how their body sensations connect to their emotions and thoughts to stress-proof their systems! REGISTER HERE. Some local parents are interested in starting a group class in Glendale, CA. See the facebook page for details or click here to request MORE INFO! (4wks - $125/pp $165/couple) - Online group class may also be possible. 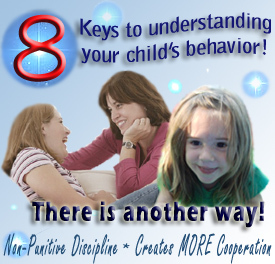 This 90-minute class is packed with key principles behind behavior, brain science, child development and includes simple tools for using effective discipline and compassionate communication. Want to have Lori speak at your school, organization or event? E-mail Now! to find out more about lectures, seminars and private coaching. Visit the Online Parenting Bookstore for personally selected book recommendations. Show your support for LOVE by displaying the TEACH logo on your STUFF! 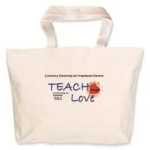 Visit the new TEACH through Love E-STORE for merchandise - T-shirts, mugs and more! Thank you for sharing your experiences and for building an amazing community of awareness, inspiration and support! Wishing you a fantastic adventure wherever you may be!